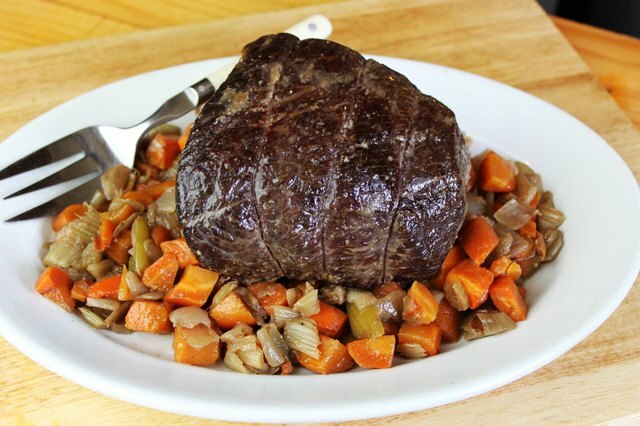 A pot roast is commonly taken from the round subprimal cut and retailed as rolled boneless rump roast. 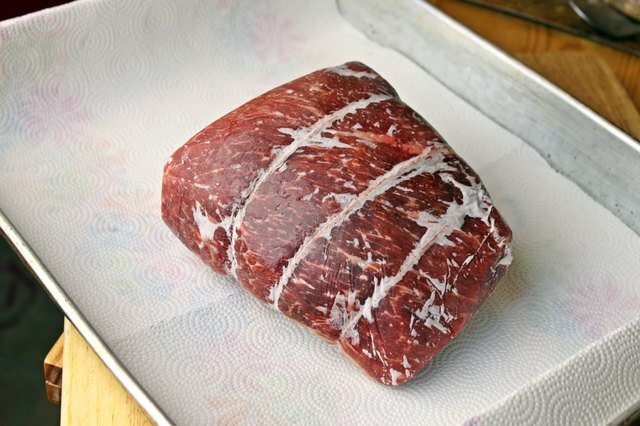 Although rump roast is the most common form of beef used in pot roast, some markets retail other cuts, such as chuck eye roast and bottom round roast, as pot roast. The same cooking techniques apply to each. 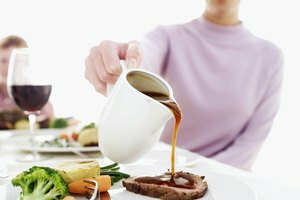 Any cut of meat originating from a highly exercised portion of the animal tends to have a large proportion of connective tissue and dense muscle fiber concentration and responds best to a moist-heat, extended-duration cooking method. 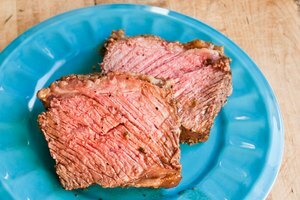 Put the frozen pot roast in a shallow pan lined with paper towels. Place it in the bottom shelf of the refrigerator to prevent cross contamination as it thaws. 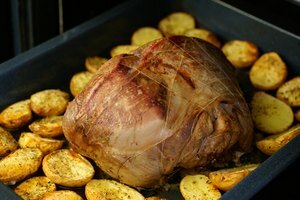 A roast may take up to two days to completely defrost. 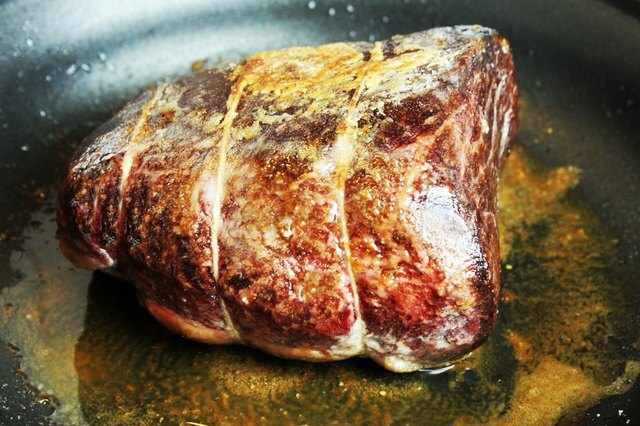 Thoroughly rinse and dry the roast with paper towels. Liberally season the roast with kosher salt and fresh-ground black pepper. 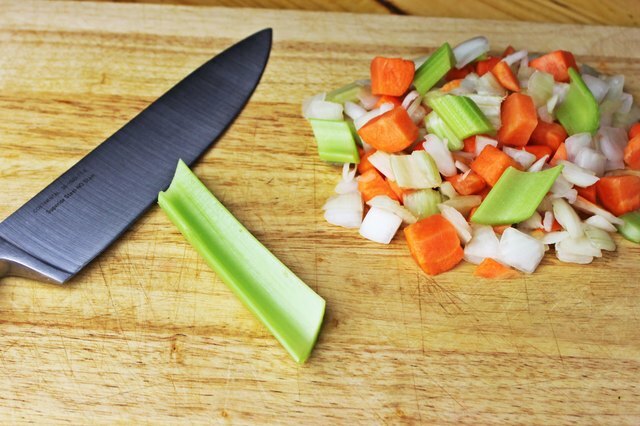 Cut vegetables into approximately 1- to 1½ inch pieces. For even cooking, the dimensions of the cut vegetables are not as important as their uniformity. Pour the olive oil in the sauté pan and set over high heat. Spread a thin layer of flour on a large plate and dredge the roast on all sides. When the surface of the oil begins shimmering, sear the roast thoroughly. 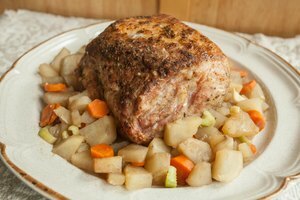 After the roast achieves a brown crust, remove it and place it in the slow cooker. Do not lower the heat of the sauté pan. Pour wine into the sauté pan and deglaze it, using a wooden spoon to detach any caramelized pieces. Spread the vegetables evenly over the roast. Pour the contents of the sauté pan and enough braising liquid to cover ½ of the roast into the slow cooker. Set the temperature of the slow cooker to high and cover. Approximately two hours into the cooking process, place the roast on top of the vegetables. Evenly distribute the vegetables in the bottom of the slow cooker. 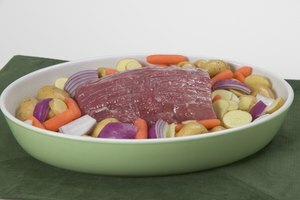 Placing the roast on top of the vegetables allows air to circulate underneath it, and contributes to even heat distribution. 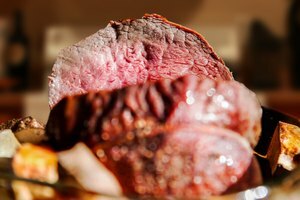 After five to six hours of cooking, check the doneness of the roast and check again every hour thereafter to monitor tenderness. 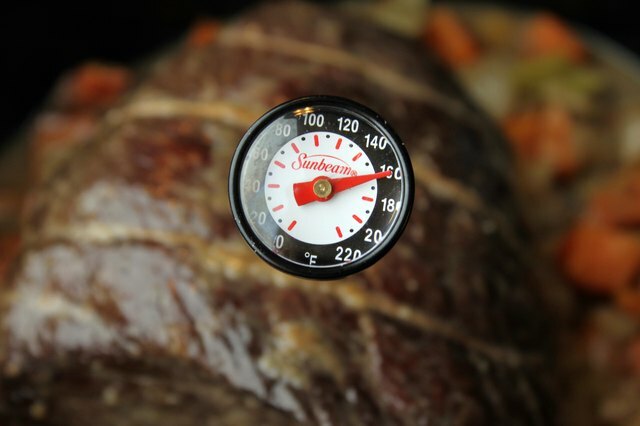 Although a braised roast reaches a temperature beyond well-done, use a probe thermometer to ensure the product has reached a safe minimum internal temperature of 160 degrees F.